We know that adding videos to your profile is easier said than done...especially when you don’t have any videos! This time, instead of nagging you to upload your video, here are some basic production tips to help you MAKE a video. 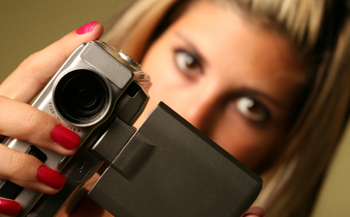 Now, if your dream is to be the next Spielberg, this post is NOT for you. This is for anyone who has no clue on how to make a video. You should shoot in the best quality possible, but you don't want blow your entire budget on one camera. When you upload your video to the web it’s going to get compressed anyway, so top-of-the-line gear isn’t necessary. If you’re low on cash, you have to make a decision between video quality and quantity of cameras. I’d recommend going with 2 cheaper cameras over 1 that’s higher quality. Multiple angles will make for a more compelling video, plus you’ll want a backup recording in case you screw up your main camera. Best Buy is everywhere and good place to start looking at prices. Make sure that your location is very WELL-LIT! Video always comes out darker than it looks in real life. Grab some lamps from your house if you have to -- just make sure it’s bright enough. If you record during an event where you can't control the lighting, save the shoot for another gig. But if no one minds, turn the lights up higher than normal. 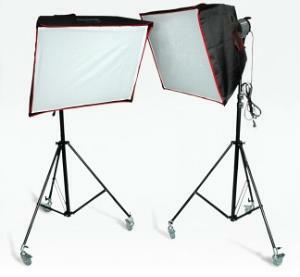 Softbox lights are cheap and they make you look very professional. Built-in camera mics can make your audio sound noisy and echo-y. Microphones can get pricey, but a quality audio recording can really make you stand out from the rest -- especially if you’re a musician. If you can’t afford studio time, borrow or rent some mics and piece it together on Garageband or ProTools. For interviews, I recommend a lavalier mic (the one that clips onto your shirt) or at least a handheld Shure mic. Guitar Center is a good place to compare a variety of mics. Most computers come with basic video editing applications such as iMovie for Mac, and Movie Maker for PC. And these days you don’t have to go back to school to learn the basics. YouTube video tutorials and online workshops, such as CreativeLive, make it easy to learn the basics without leaving home. Final Cut Pro is now only $300! (It used to be $1000). You may have some older videos that are too large to upload or in the wrong file format. You may need to run your video(s) through a post production app to custom export your files so that they fit your needs for web publishing. MPEG Streamclip (Mac or PC) is an excellent freeware editor/converter. Good luck! And remember, this blog is not a one way street -- we know that you’re the talented ones. Please share any advice that you may have in the comments below!